Through sovent penetration and evaporation, can test wool and synthetic fiber in sample oil or oil content. 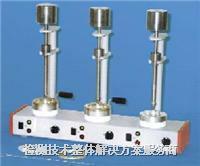 Suitable for fiber, yarn and fabric test. With three extraction head.